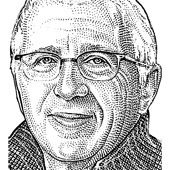 Azoff is one of the music industry's behind-the-scenes movers and shakers. From his earliest days of promoting and booking bands at the University of Illinois, he has been an agent, personal manager, concert promoter, movie producer, independent record label owner, merchandiser, music publisher and record company CEO. Now running the world's biggest entertainment ticketing company, Azoff still heads one of the largest music management companies and is personal manager to the Eagles, Christina Aguilera, Neil Diamond, Van Halen and Steely Dan. In other words, he can get you good seats. Irving Azoff, the executive chairman of Live Nation Entertainment Inc., has left the concert promotion giant’s board and resigned as an executive, the company said Monday. Now we know why executives have handlers. Irving Azoff, Live Nation Entertainment’s colorful executive chairman, has long been known in the music industry for his short fuse. Now thanks to Twitter, anyone who feels like it can get a taste of Azoff’s legendary temper. While many thought it would not sail through regulatory scrutiny easily, and it has taken a year, the merger of two entertainment industry giants–Ticketmaster and Live Nation–can go forward as long as a certain set of conditions is met, the Department of Justice said. And while DOJ’s antitrust head, Christine Varney, told reporters today that she warned the two companies that the federal government was prepared to litigate if necessary, it–well–did not. Now, the combined company will be able to do everything from selling tickets to booking artists to selling their T-shirts and more. Does this concentration of power mean ticket prices will go up for consumers? Today, the full sessions of the seventh D: All Things Digital conference get rocking–literally–by posting my onstage interview with music powerhouse Irving Azoff. One of the most important behind-the-scenes movers and shakers in the industry, Azoff is now running the world’s biggest entertainment ticketing company while still heading one of the largest music management companies. He is also personal manager for the Eagles and many others. He and I talked about all this and more, focusing on the digital forces buffeting the music business. Irving Azoff hopes to pull off the deal of a lifetime by merging Ticketmaster Entertainment and Live Nation–in effect, covering both ends of the live music spectrum. In order to do so, he has to convince Washington D.C and face a range of skeptics that includes Bruce Springsteen. He takes the stage with Kara Swisher to talk about the company and the future of the music business. As a longtime music executive and talent manager, Irving Azoff has had to find a way to work with everyone from inebriated rock stars to David Geffen. But he’s never had to placate Washington, D.C. before. But that’s what Azoff needs to do in order to pull off the deal of a lifetime: A merger between his Ticketmaster Entertainment, which dominates the ticketing business, and Live Nation, which dominates the live concert business. When Azoff isn’t busy trying to convince people that the merger doesn’t violate antitrust regulations, or running his ticketing company, he manages the careers of everyone from the Eagles to Christina Aguilera. Note the one thing in the music business he doesn’t spend time on: Selling recorded music. Former Eagles band member, Joe Walsh, introduces Ticketmaster Entertainment CEO Irving Azoff to the stage at the D7 Conference. Incredibly, this is the seventh year of the D: All Things Digital conference. We feel very lucky to get here, especially in the midst of what our own site’s Digital Daily scribe, John Paczkowski, has so perfectly dubbed the “econalypse.” Ironically, Walt Mossberg and I planned to launch the very first conference in the middle of the last major downturn for tech, in 2001. But, in the carnage of the Web 1.0 meltdown, we actually held off for two years, with our first D gathering taking place in 2003. Incredibly, this is the seventh year of the D: All Things Digital conference. We feel very lucky to get here, especially in the midst of what our own site’s Digital Daily scribe, John Paczkowski, has so perfectly dubbed the “econalypse.” Ironically, Walt Mossberg and I planned to launch the very first conference in the middle of the last major downturn for tech, in 2001. But, in the carnage of the Web 1.0 meltdown, we actually held off for two years, with our first D gathering taking place in 2003. Well, we’re still going–making the same long-term bet that the digital revolution will keep rolling as we did at D1. Here’s our lineup for D7. It’s not exactly rocket science here. It’s pretty standard stuff to be able to make a phone call. — Taylor Sbicca–an iPhone user who plans to switch from AT&T as soon as its iPhone exclusivity expires–complaining about the quickly decreasing quality of the carrier’s service.